In the lead-up to the Greek referendum on Sunday, Corinth made a solid showing in news articles, blogs, and commentary. The Guardian called the Corinthia a weather vane of Greek politics and a predictor for the outcome of the referendum, and archaeologist Stephen Miller suggested polling the customers of a local bar in Nemea to gage public opinion on the matter. MSN UK painted the Corinth Canal as a metaphor for the feeling of division in Greece (which, as the vote showed, was less divided on the European Commission agreement than initial polls predicted). Then there was a range of articles that interviewed Corinthians from different villages – to get some perspective outside of the Athens metropolitan area. 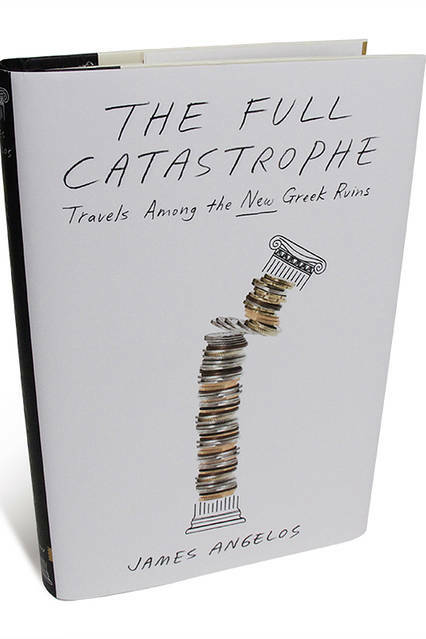 Mr. Angelos, a former Journal correspondent, travels through Greece as a journalist first, and a native son second, to conduct a mostly unpleasant archaeology…. Mr. Angelos’s book allows us to see how these problems play out, sometimes farcically, in the lives of actual people.